There is never a good time to have a problem with your air conditioner, especially when you live in Southern California. Warm weather is the norm here, and you may find that you use your air conditioner more than you do not, adding extra wear and tear on your system. Use like this will lead to inevitable problems with your system, particularly if you do not maintain the system as well as you should. If you fear the potentially high costs of air condition repair in Rolling Hills, there are steps you can take to help prevent them and make things easier for yourself. The most important thing you can do to limit high repair costs is to make sure you properly maintain your system. Getting your system checked and cleaned once or twice a year can make a big difference regarding the performance of your system. Proper cleaning will keep the system free of excess dirt and debris that can clog and harm the system, making it work improperly or even break down. Poor performance and neglect can lead to expensive repairs, so doing what you can to prevent problems like this is important. Having the right service to assist you with air condition repair in Rolling Hills is also a way to help you keep your costs down. Many people automatically worry any time they need to have a repair service into their home that the repairs will cost hundreds and hundreds of dollars. They may also worry about getting cheated or taken, getting unnecessary work done. When you hire a service like ours at American Clean Air and Heating, you know you will always have a reliable, trustworthy service to do the job right for you at a fair price. 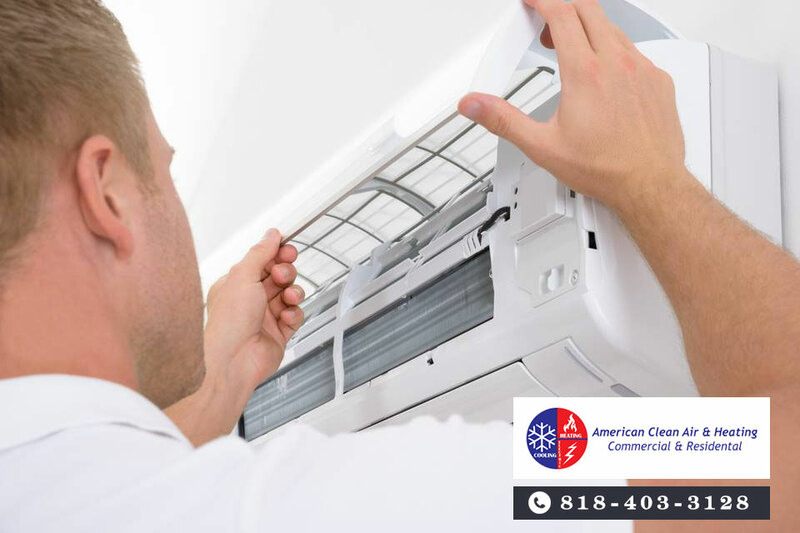 To make sure you get the best maintenance and air condition repair in Rolling Hills, call us at American Clean Air and Heating for assistance. You can contact our office by calling 818-403-3128 and scheduling a service call for the work you need to be done. We can help you make sure your AC runs well and effectively throughout the year. Give us a call and we will be happy to answer your questions and assist you the best we can.